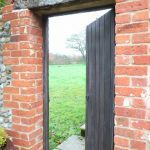 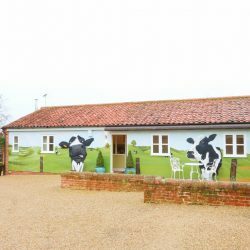 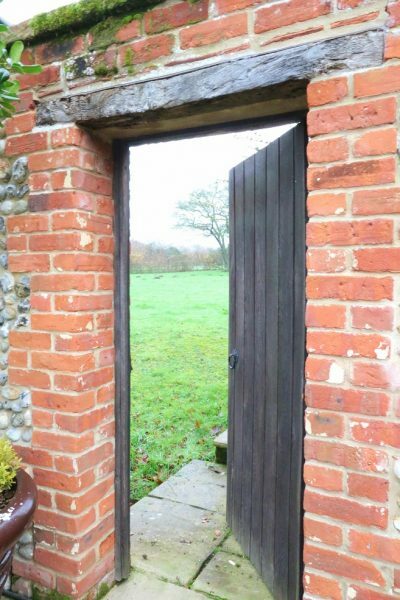 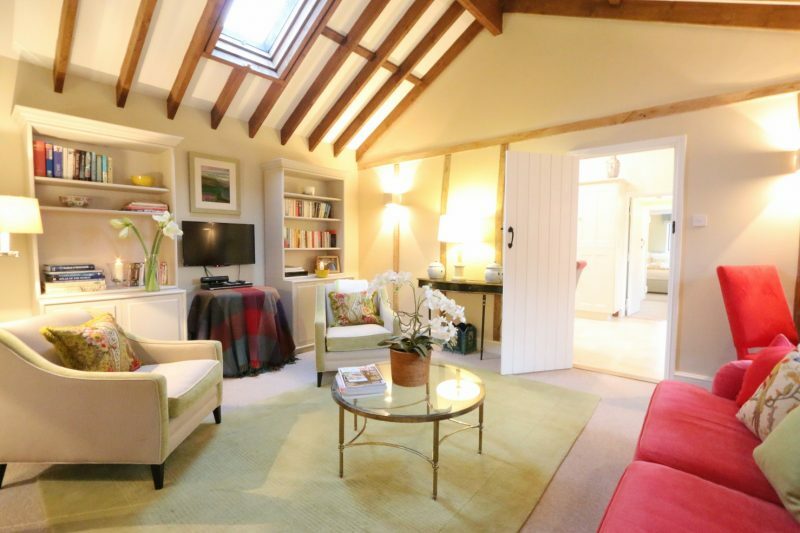 The Old Dairy is a luxurious converted barn that, in a previous life, was the dairy to the magnificent Priory House in the charming North Norfolk village of Field Dalling. 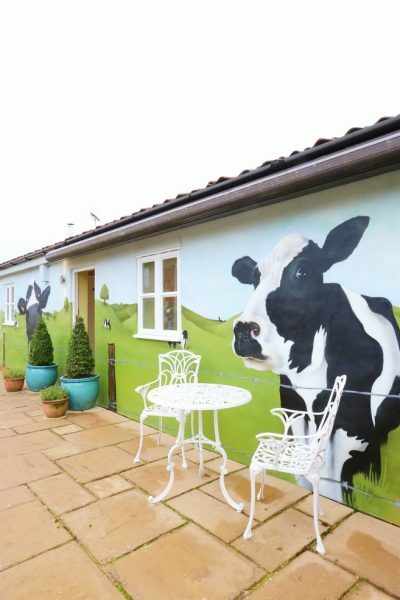 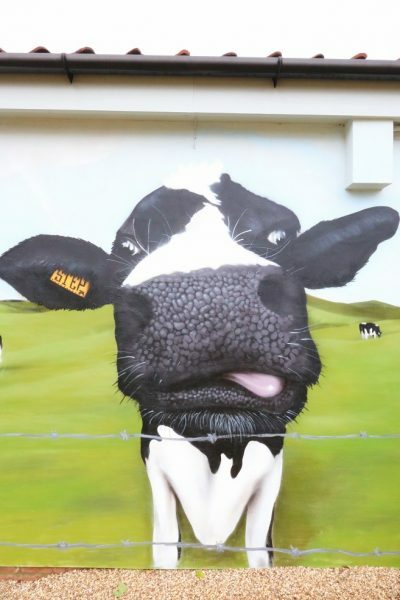 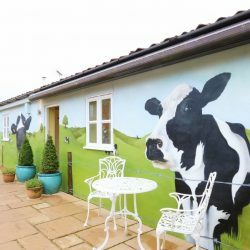 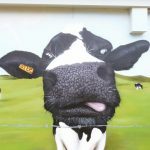 A fabulous mural of a scene depicting cows out to pasture next to the sea completely covers the front of the building… a fitting and wonderfully quirky tribute to the buildings previous existence and its location. 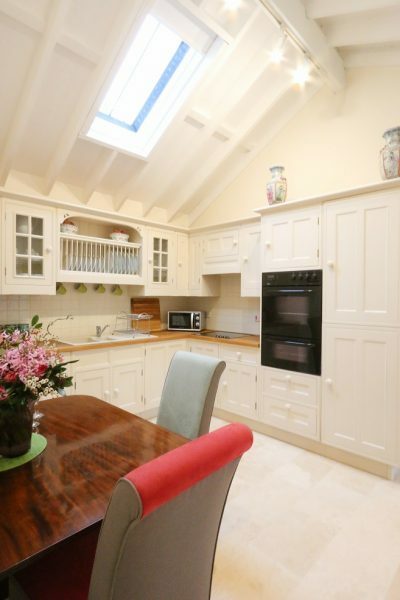 Internally The Old Dairy has been fabulously styled by its interior designer owner. 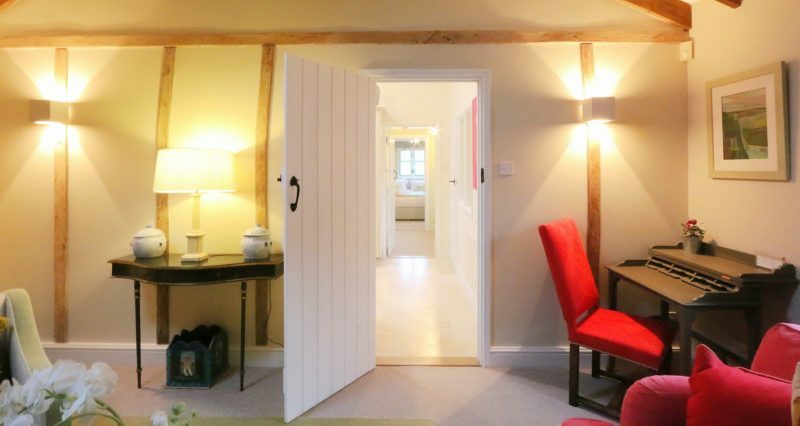 Beautiful fabrics, artwork and furnishings as well as a high end kitchen and bathroom mean that internally this former ‘cow shed’ is now a gorgeous, luxurious romantic bolthole. 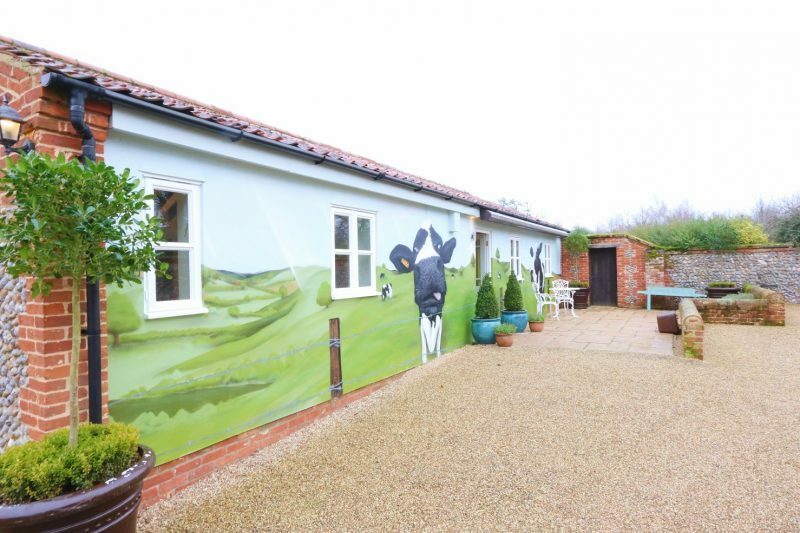 Field Dalling is a pretty village nestled in the lovely, rural North Norfolk countryside around two miles from the coast at Blakeney and about a 10 minute drive to the sought after Georgian market town of Holt. 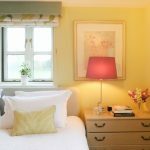 This makes it the ideal location for a peaceful break completely away from the hustle and bustle of stressful everyday life and yet close to all of the amenities and super eateries one could require. 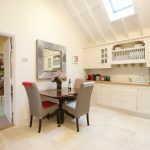 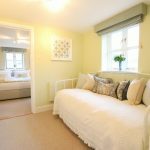 This cottage combines all of the modern comforts one expects in a high-end holiday let whilst retaining oodles of charming character. 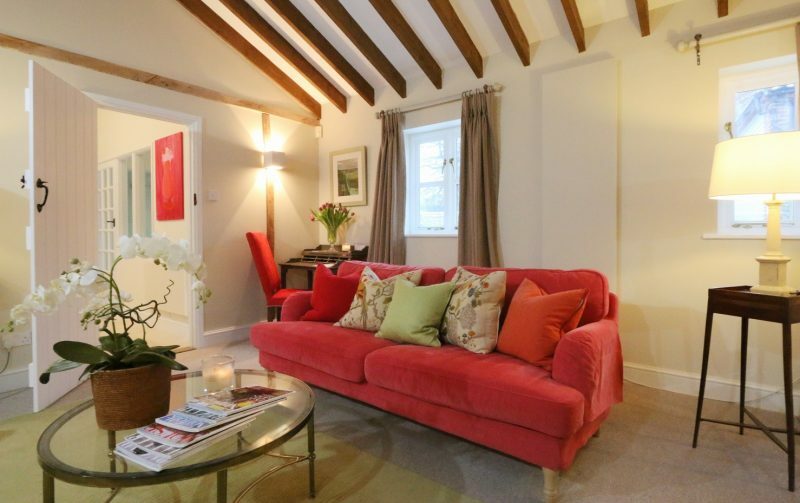 The Old Dairy’s cosy sitting room focuses around the lovely wood-burning stove. 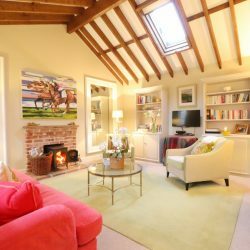 Colourful fabrics and artwork give the room a bright, happy ambience that adds to the relaxing ‘feet-up’ feeling throughout the property. 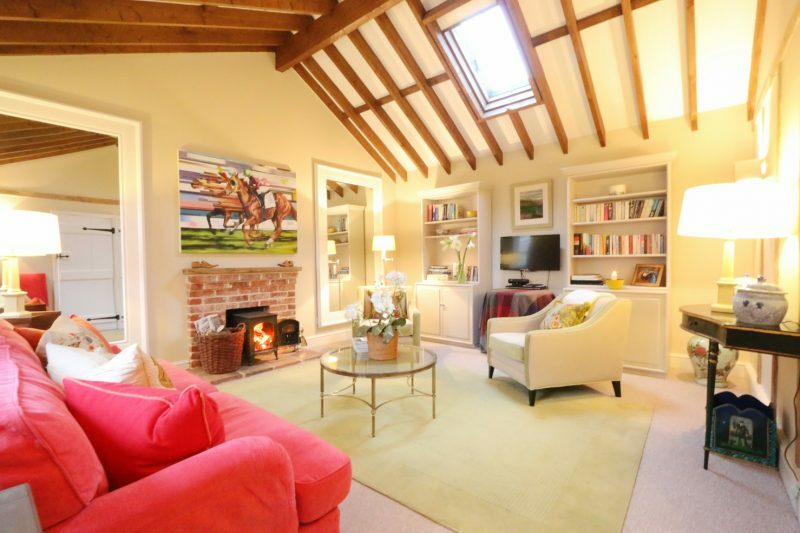 There are plenty of books to get lost in on two bookcases either side of the good sized LED T.V. 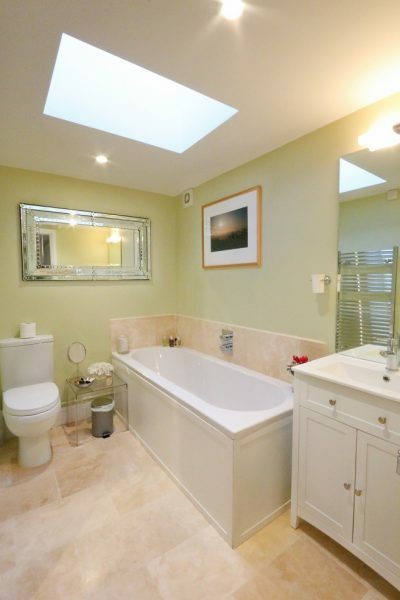 with FreeSat and DVD player. 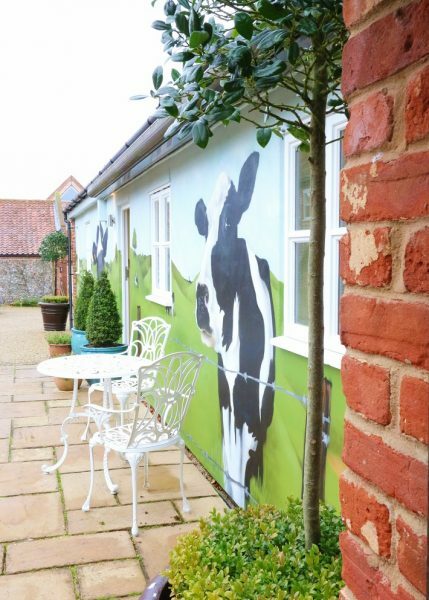 In the corner of the room is a handy desk… we think that The Old Dairy would make a fantastic base for someone looking for a home from home to work on a book or finishing a project that requires that extra bit of peace and quiet. 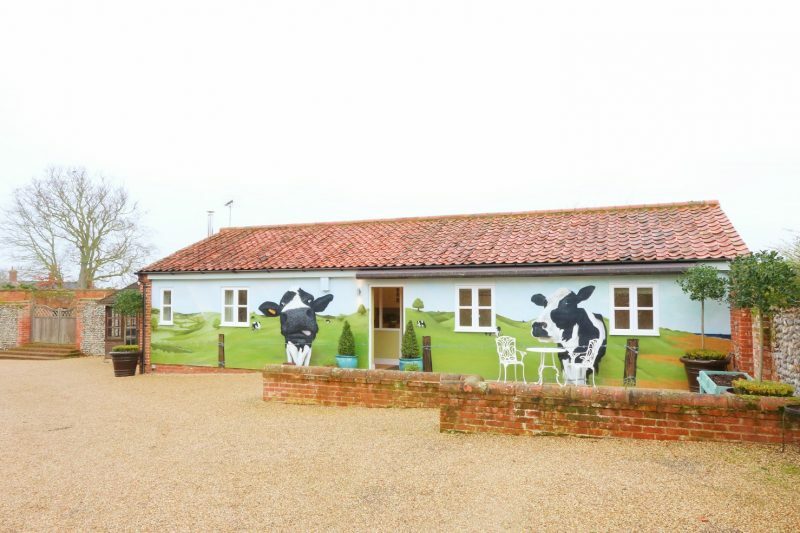 As with all Blakeney Cottage Company properties The Old Dairy has free unlimited WiFi. 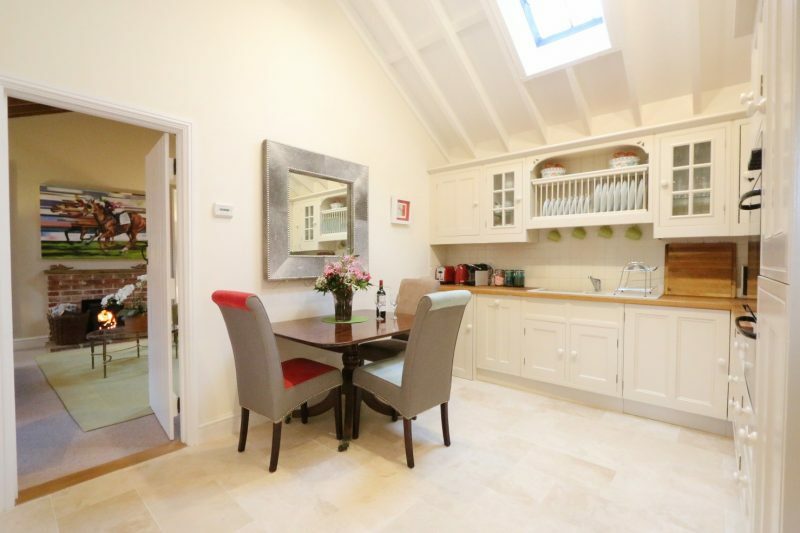 worktop is a halogen hob, microwave, toaster, kettle and the all important Nespresso machine. 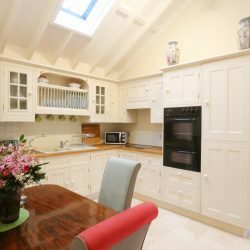 Off the kitchen is a small entrance hall that makes a perfect place for storing wellies and coats. 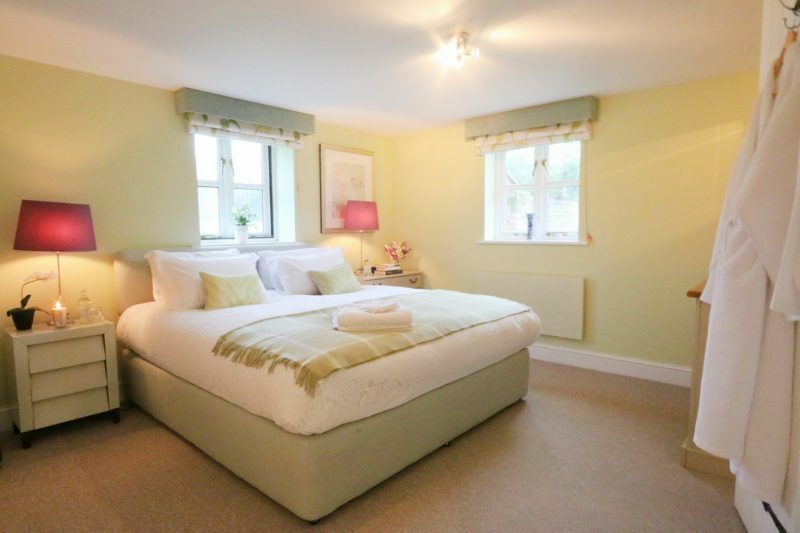 Through a small room that houses a day bed (available at extra cost) is the large light and airy, double aspect bedroom. 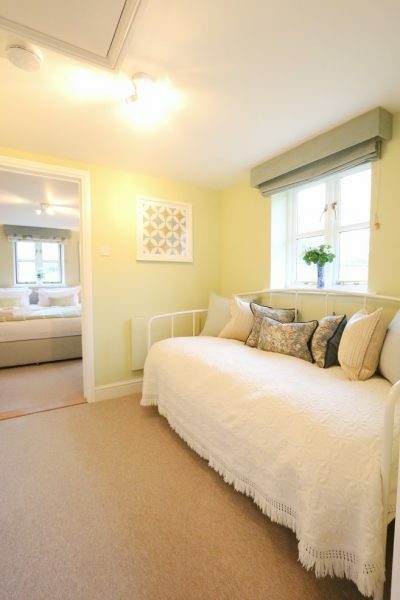 This features a deliciously luxurious six foot ‘superking’ bed as well as a wall of wardrobes so you can bring as many outfits as you wish on holiday with you! 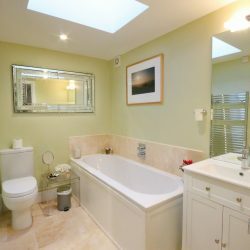 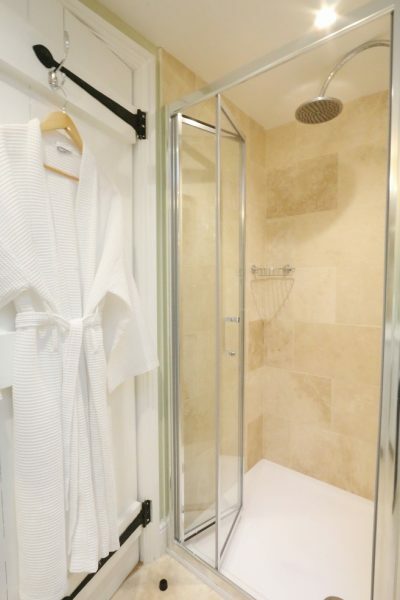 The superb quality en-suite bathroom boasts a large double ended tub perfect for a romantic soak together as well as a separate walk in shower with ‘drencher’ head. 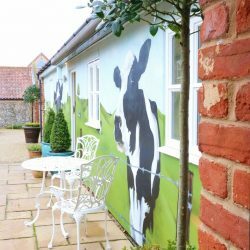 Externally a pretty, private courtyard makes for a peaceful place to sit and enjoy G&T’s on sunny evenings and through a door in the old garden wall is a large lawned area that the guests of The Old Dairy are free to use. 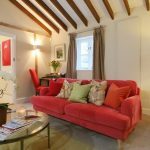 There can’t be many romantic bolthole’s as luxurious, quirky and unique as this little gem nestled in the North Norfolk countryside. 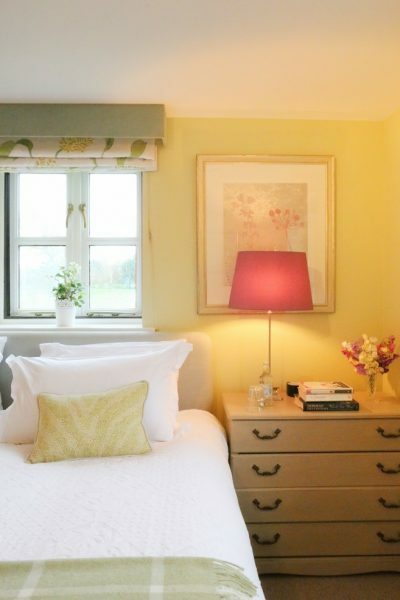 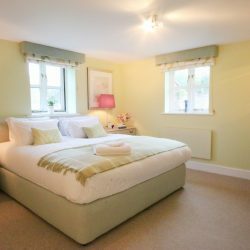 Just as perfect for short-breaks as it is longer-term holidays it really is the ideal base for couples exploring the many nearby attractions and gourmet dining experiences available throughout North Norfolk.